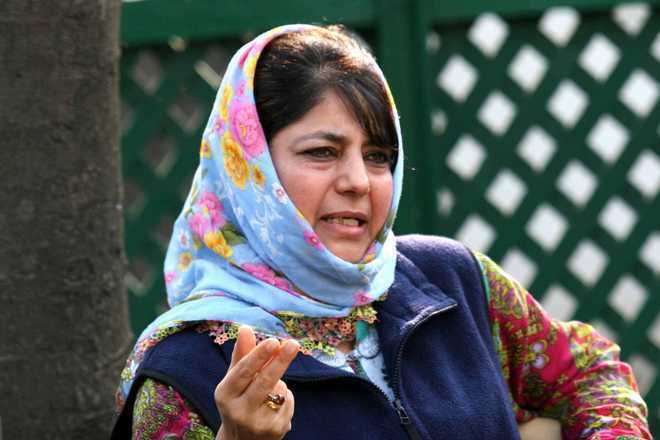 Peoples Democratic Party (PDP) president and former chief minister, Mehbooba Mufti on Monday said that Bharatiya Janata Party (BJP) was preparing for another Balakote like strike to gain the votes. “Kashmir belongs to Kashmiris. Not anybody’s heirloom to inherit. Self seeking politics is intentionally blurring lines between self & country, exploiting armed forces to grab power, fuelling communal politics & dividing the country in the name of religion. Kuch yaad aaya?” she tweeted.